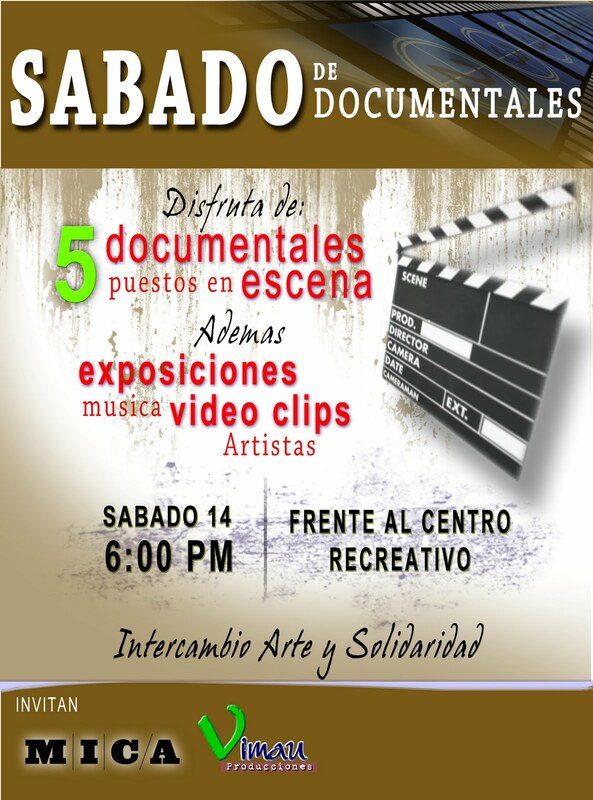 While in Esteli, Art of Solidarity participants worked with VIMAU to create four video documentaries. The Process from amartray on Vimeo. The Process documents cross-cultural artistic collaborations between North American and Nicaraguan artists. This year's Art of Solidarity participants traveled to Nicaragua to work with a collective of muralists and a group of video documentarians. After three years of collaboration, AOS participants document their collaborations and how they are able to use art to bridge language and cultural differences. Por que Somos lo que Somos from amartray on Vimeo. Estelí is Nicaragua’s third largest city, located in the north, right on the Pan-American Highway. Known for its tobacco production, murals, and pleasant climate, Estelí has a rich archeological, social, and political history. Most Estelians remember the role their city played in the revolution but few know the origins of the city itself. Villa Vieja tells the story of how Estelí was founded. 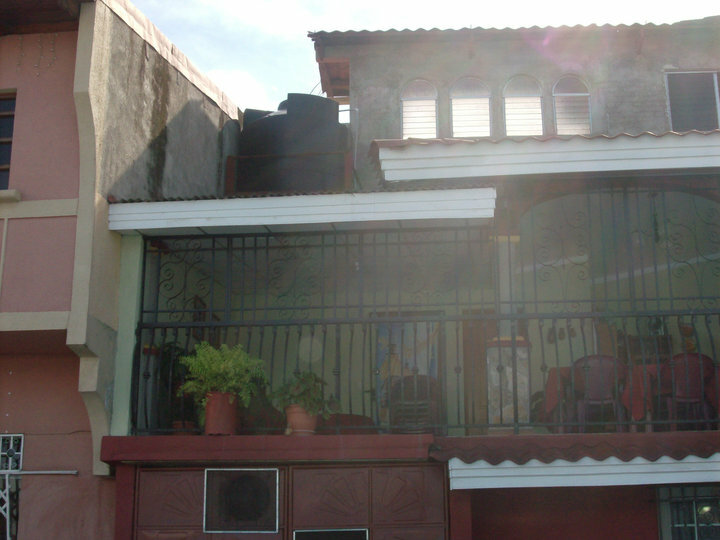 Located about 3 kilometers east of the city center lies a place called Villa Vieja, the place where the founders of Estelí first inhabited. Con las Manos de Esteli from amartray on Vimeo. Estelinas from amartray on Vimeo. 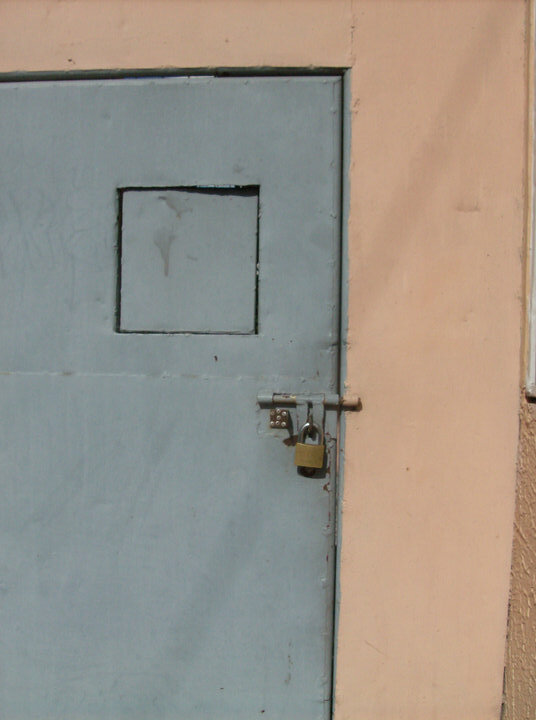 Estelianas is an exploration into what life is like for women living in Esteli, Nicaragua. Five different women share their experiences and perspectives on work, marriage, school, and family. Through their stories the realities of women’s roles in Esteli’s past and present are explored. Within these testimonies the extraordinary resilience and sincerity of Estelian women come to light. The culmination is an optimistic look towards the future and the ever-continuing progress of women’s equality in Esteli, Nicaragua, and around the world. The preceding projects are collaborations between North American artists and VIMAU Productions of Esteli, Nicaragua through the Art of Solidarity- a cultural exchange study abroad program of the Maryland Institute College of Art (MICA) in Baltimore, Maryland. 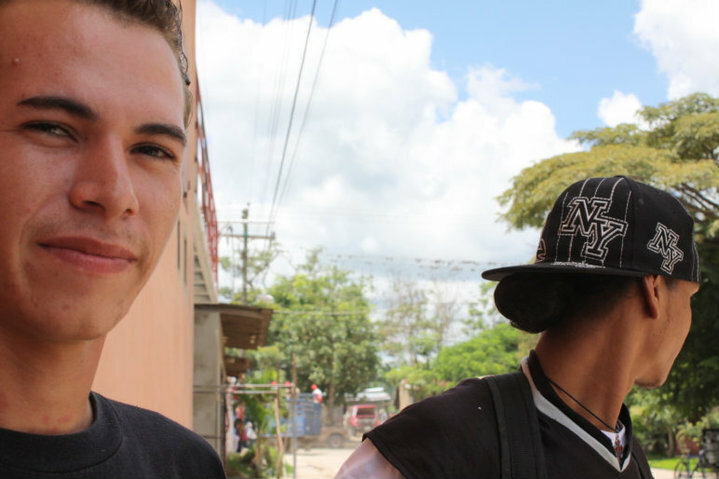 In addition to creating four documentaries in Esteli, a small group of Art of Solidarity participants worked with youths in Limay to create a fictional film about drug use in their town. El Mundo de las Drogas from amartray on Vimeo. Here final pictures of our work on the murals. 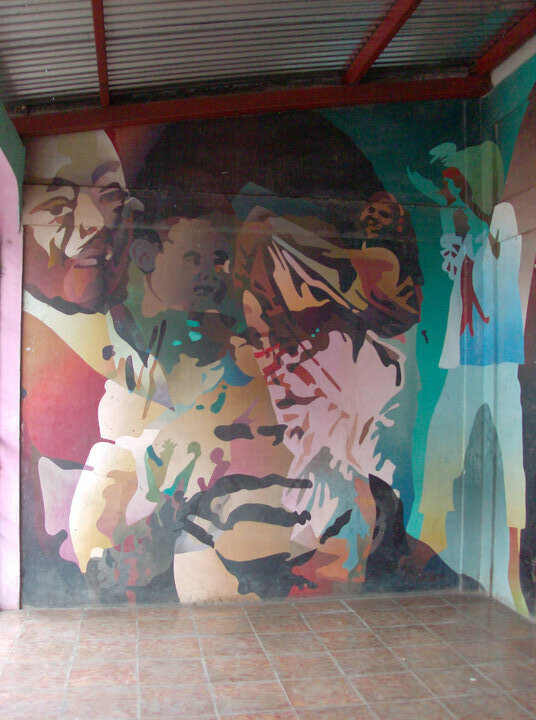 These pictures are the last pictures that I took of the mural before we left Limay. The murals were hard work but we pushed through and completed these beautiful works of art. I have been to the Atlantic Ocean more than a dozen times in my life. So many times that I can not recall the exact number. I have never been to the Pacific Ocean or even come near to touching it. This journey has brought me so much joy! Being able to see another one of my God's creation is such a blessing. When I first arrived here to Leon, I looked at the water and sky and stood still for about five minutes, totally amazed by this experience. I stretched out my arms and smiled up to the Heavens. This is a sky that I will never forget, and an ocean that I can say that I touched or an ocean that has touched me for that matter. Working on the tobacco project I learned a lot. I never knew anything about Nicaragua prior to this trip, nor more specifically about Esteli. Esteli's main economic resource is tobacco and its cigar production. Not knowing anything about this, my group decided to investigate. At first it was rough, not knowing what was possible. After plans falling through and lucky coincidences we were able to conquer all. We learned a wide perspective rather than the obvious negative one. We were granted access to various factories, to film, and to interview. I hope that our video illustrated to others what we learned and emphasized the people who make up the workforce rather than the industry itself. It was important to share their voices and their words to others. I can't believe how fast the time went. Since arriving back in Esteli, I have not felt like myself. I am lost. Being in Limay was an altering experience. One, I will never forget. My words would be best after I get the chance to think and write it all out at my own place. For now I'm still trying to enjoy my time here. Check out our awesome murals! We've been working with youth in Limay for the past week or so, determining content and creating designs for the murals. There are two murals, though only one is pictured in this entry. This mural is on the Center for Youth and Adolescents. Its themes focus on different issues that youth here see in their community, including drug use, domestic violence, and teen pregnancy. We've got one day left to finish - I'm about to go paint! Limay is a beautiful, beautiful place, but one of it's downfalls (in my book) is the crazy assortment of bugs that live here. The scarab to the left is one example - we found it crawling on the doorway of Dona Nilia's home, where we eat breakfast and lunch. This one is a male (you can tell by the big horn on it's head). It was 5"-6" long, and quite slow-moving. A couple of us were brave enough to 'pet' it - the brown part on it's back is velvety soft - surprising for such an 'ugly' bug. It seemed almost like a dinosaur, and when it walked, you could hear it's different body parts rubbing against each other. While in Limay our group is working on two projects with students at the youth center. The majority of Art of Solidarity participants are working on mural projects. I am working with a smaller group that is leading students in the creation of a video. Our students chose to work with the theme of drug abuse in Limay. 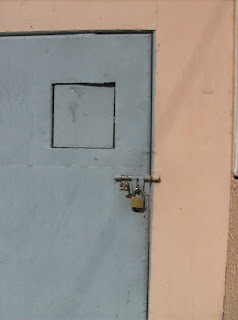 In the course of planning out their video, students decided that they wanted to shoot a scene in Limay's police station. Not only did the police agree to let our students film in the station, they also agreed to act in our film! On of our student actors was booked, cuffed and thrown in a cell. After shooting this scene the police also filmed a chase scene where they catch a drug dealer in the act. It was a fun shoot, and the police seemed to enjoy it as much as the students did. Overall our students have done an awesome job both on camera and behind the scenes. I've been really impressed by their ability to select a theme, generate a story, and edit it down to create a storyboard. I've also been impressed by how well they have been framing their shots. Saturday! Videos! The "Exquisite Eight" (meaning Marci, Sophia, Trami, Rikiesha, Moira, Kristin, Becca and myself) will be there! PLUS Eddy, Jonys, Jorge of VIMAU! AND the talented trio of Aleks, Maria, and Mario! As well as various other really wonderful people! What more could you want? Commmmeee onnnn dowwwwwwn to Esteli! In Limay I have seen things that I've never seen up close before like little pigs, horses, chickens and green mountains. I also like the everyday things that are slightly different from what I'm used to, like chairs made of plastic and nylon cords, brightly colored hammocks and doors and window panes painted bright turquoise. I also recently learned how to make one of my favorite beverages, Horchata, from my host mother, la Profesora. Rice andjicama powder, cinnamon and water. San Juan de Limay is breathtaking. The town sits in a valley surrounded by mountains. Cars and busses are almost obsolete here; horses and bicycles are the main mode of transportation. I feel like I'm in the wild, wild west - men ride around on horses, and it's not unusual for cows to be herded through the streets. There are tons of beautiful chickens and roosters walking around, and there are tons of cute little cats and dogs! We live with host families right now, which is a very humbling experience. My family is kind, gracious, and quite giving. I feel lucky to be in their home, and interacting with them in a day to day basis. We watch telenovellas together and draw in the evenings...one of my necessary tactics, since my Spanish needs much polishing. We;ve had crazy adventures, walking though pastures and ducking under barbed wire fences in search of the local river, and milking cows at 6:00 in the morning. Much more to come from my fellow travellers, I'm sure! After I took this picture I went to lunch and had a conversation with the waitress who worked there. I learned that she was 15 years old and moved by herself from the Atlantic Coast, south of the Rio Coco, to Esteli to work. She spoke some Miskito to me because I told her I had never heard it before and then told me (in Spanish) that she liked Chinese fighting movies. So, where to begin. There really is no clear beginning to this trip. So much has happened, so much I have experienced, and so much I have learned. I cannot exactly do justice with words, and well, even more sowithout a picture in my first post, but I'll see what I can do. Straight up, I'm not one to post blogs or use the internet much when I'm not at home. In fact, I've been more or less avoiding so, in order to integrate into living rather than retelling it through the internet. Yes, hesistant and avoidant, I know. Esteli...is a beautiful town. 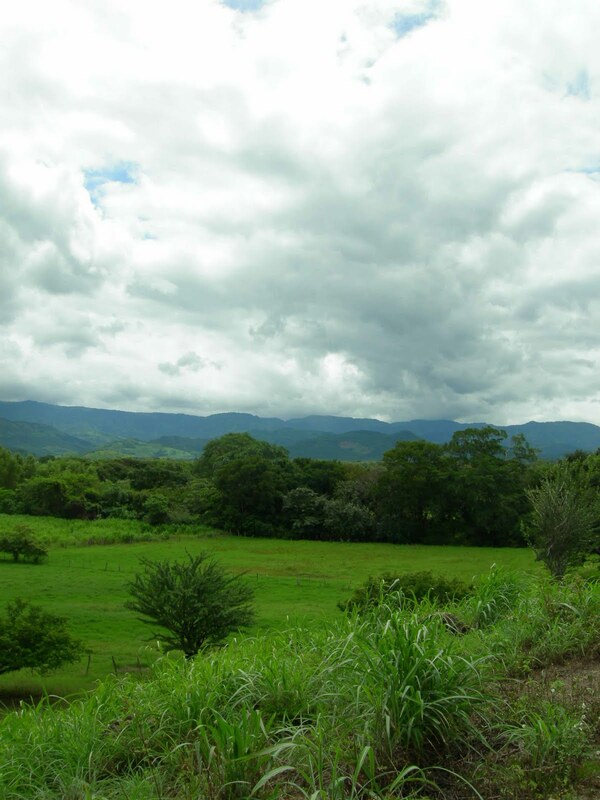 Upon arrival from Managua, I fell in love with the green mountains and the visibility of crisp sky. Since arriving in Nicaragua, the landscapes are ones that I will never forget, both in the city and in the rural areas. Each has its own identity and beauty.